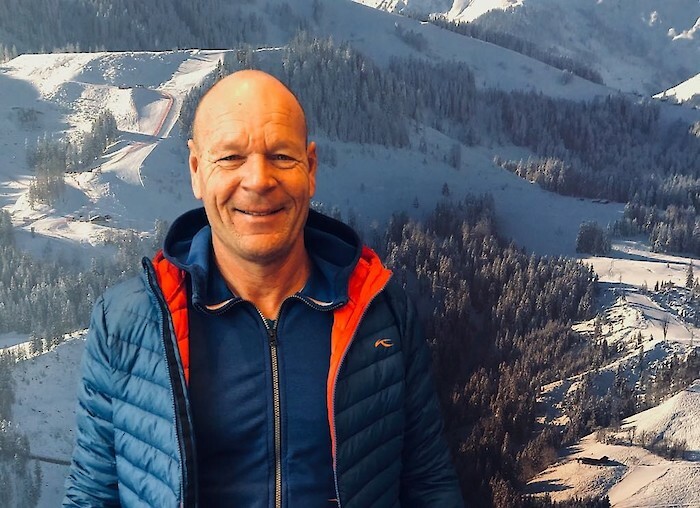 At the beginning of the Hahennkamm Race Week, we received a visit from former Swiss ski racer Daniel Mahrer, who triumphed on the Streif in 1989. Nowadays, the 57-year-old is involved with sports and event management. We had a chat about his great victory and what it feels like to return to Kitzbühel. Daniel, how does it feel to return to Kitzbühel a Streif victor? It’s always an exhilarating and lovely feeling. The course is special, the atmosphere is special, and I’m always happy to come back to Kitzbühel. When you think back to your victory, are there any specific memories that come to mind? I don’t really remember much from the race itself, much more the party afterwards, that was a lot of fun (laughs). Of course, you can only enjoy winning here, it’s just really special. Looking at your career, how would you rank your triumph on the Streif? Kitzbühel was certainly the biggest victory of my career. Obviously, I mustn’t forget my bronze medal at the 1991 World Championships in Saalbach, but Kitzbühel was the highlight of my career. Now you’re working as a sporting event organiser, what types of events do you organise? I organise the hospitality for a company during Hahnenkamm Week. My team and I are responsible for over 180 guests. We take them skiing and try to give them an authentic Streif feeling, as close as you can get to it, anyway. As a former athlete, what’s your opinion on giving the Europacup athletes a taste of the Streif to bring them a step closer to the World Cup? It’s a brilliant idea. Exactly the right step because it allows the athletes to get to know the Streif and prepares them for the World Cup in the best possible way. Who are your favourites for this year’s Downhill? The entire Austrian team has shown that they are never to be underestimated, but Beat Feuz is also a force to be reckoned with. Of course, we can’t forget the Norwegians and Italians. All in all, there are certainly around 10 racers who could win.